It also adds some great features (graphing, enhanced statistics, long term monitoring, alerts, etc.). Home Page and download site. 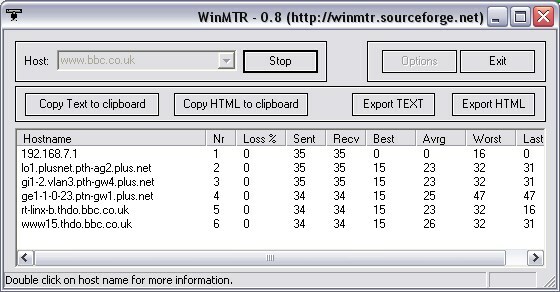 Combination Ping and tracert utility. Has additional options and you can leave this running continuously if you like. Includes:- Ping, TraceRoute, Finger, WhoIs, Quote of the Day, NSLookUp, Time Synchronizer, PortScanner, NetInfo and MailChecker. 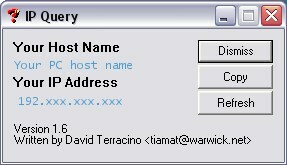 Email blacklist query, Abuse address query, S-Lang scripting, Time.